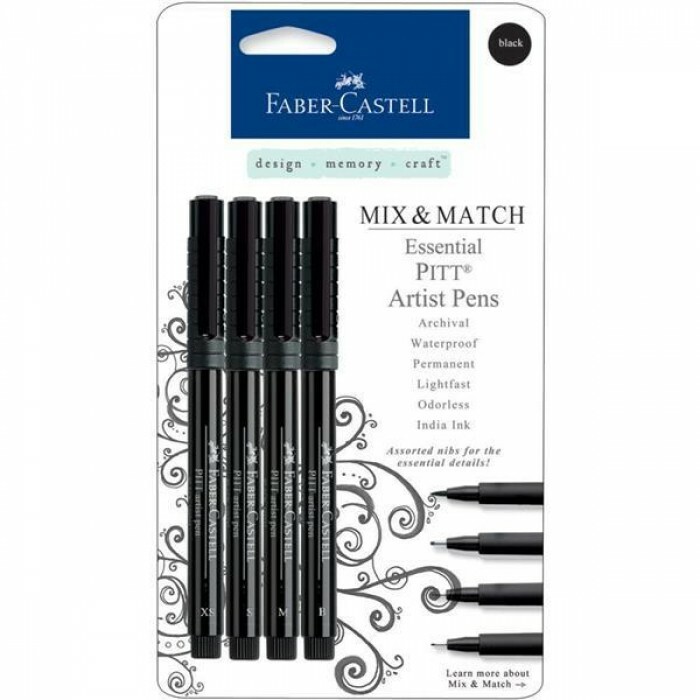 These unique and versatile brush pens allow you to create thick or thin brush strokes perfect for lettering, stamping, paper crafts and more. Made with odorless India ink that will not bleed through and is waterproof, lightfast and archival. Reversible nib. 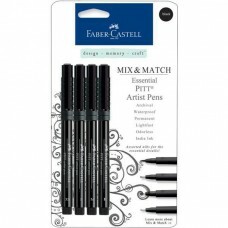 Set contains 4 pens, each with different nib (brush, medium - 0,8 mm, superfine - 0,4 mm, extra superfine - 0,1 mm). Colour - black.